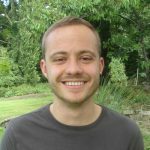 James Rupert Fletcher is a Teaching Fellow in the Department of Global Health & Social Medicine at King’s College London. His research focuses on the dynamics of informal dementia care networks in the United Kingdom. He is interested in interpretative approaches to dementia, as well as dementia research more broadly, the health and social care divide, ageing, mental illness, chronic conditions and disability. His work is informed by symbolic interactionist and antipsychiatrist ideas, as well as social theory more generally.